Consistent quality and product was a mandatory requirement as the corporate office needed absolute assurance that each location received the same marketing materials and that the delivered product matched specifications. Recognized as a top 50 brand, Mooyah’s needed the dedication and support to help with future exponential growth. 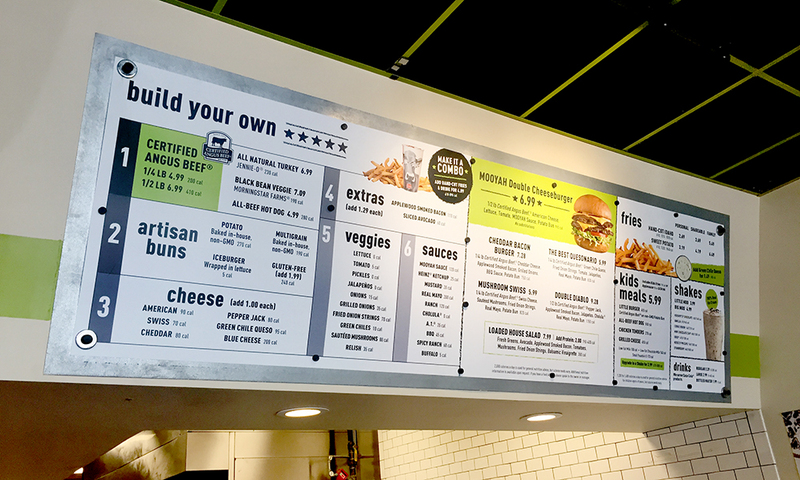 After several test trials, Mooyah offered Vivid Ink Graphic the opportunity to solve these issues. 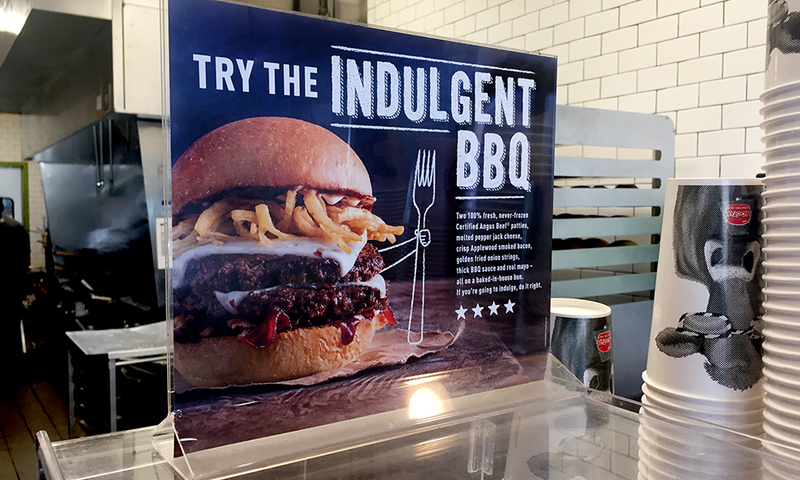 Vivid Ink Graphics worked with MOOYAH to ensure all substrates and finishes were produced exactly as desired. 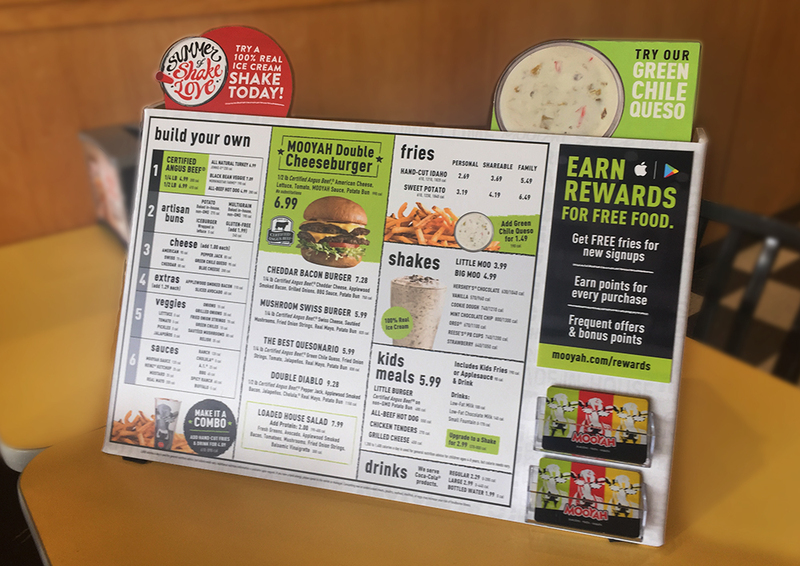 Samples were created for corporate review, which upon approval, were added to VIG’s material purchasing lists to esnure MOOYAH’s brand standards were maintained and produced exactly as desired for their monthly promotions and specialty items. 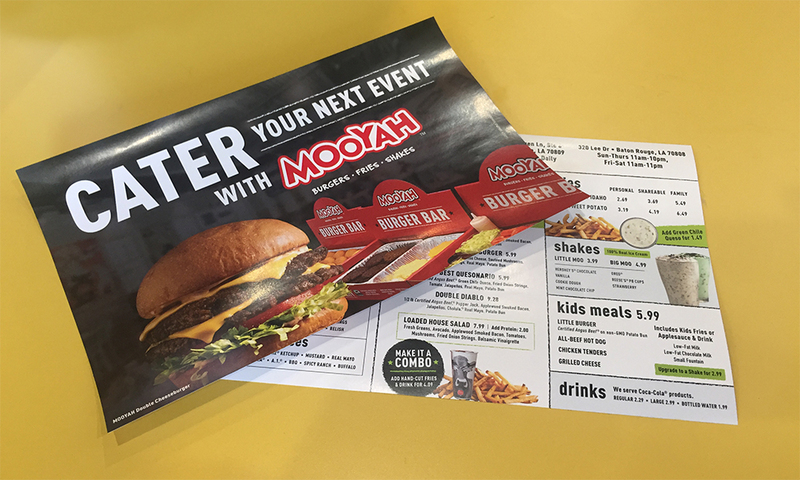 Print-on-demand and monthly specials are managed through Vivid Ink Graphics’ Brand Management System, which hosts MOOYAH‘s custom online portal offering Franchisees 24 hour access. 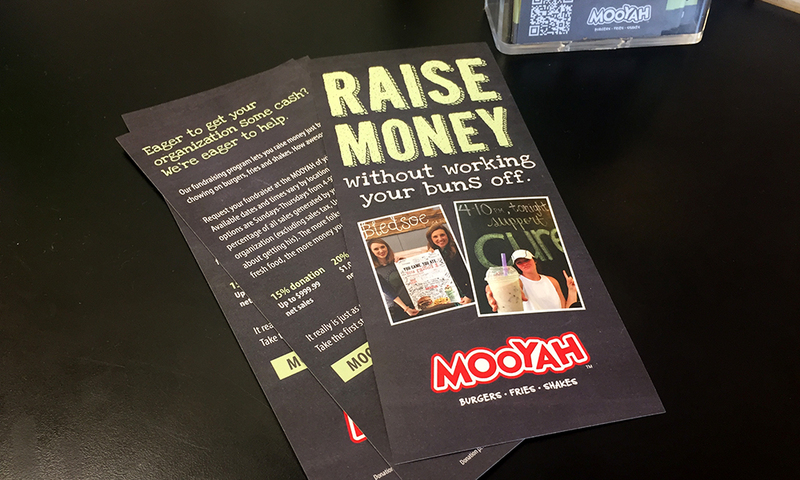 Each MOOYAH location now receives exactly the same products regardless of the changes in local or regional messaging. This ensures continuity across the brand and establishes a standard to build on. The distress previously caused by inconsistent deliverables has been replaced by accuracy and accountability for MOOYAH‘s nationwide locations. 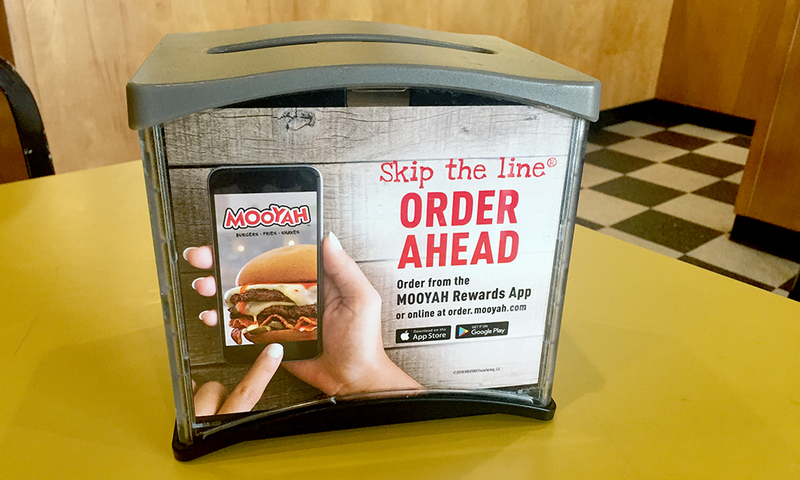 MOOYAH’s has control of their national expansion at their fingertips. Franchisees may use their computers, phones or tablets to order the items needed for their location 24 hours a day, freeing them to focus on customer satisfaction. MOOYAH‘s has no worries about deliveries being on time or if their material will be up to brand standards. Vivid Ink Graphics’ systems, production processes and staff, guarantee a perfect result each and every order. MOOYAH’s brand standards are Vivid Ink Graphics’ standards. We are fully integrated and focused on one outcome: MOOYAH’s success. We were having issues with consistency and it was vitally important that the choice of a new marketing fulfillment partner be one that was sound and successful. After meeting Vivid's team, our questions quickly switched from their capabilities to, "when can we get started!"